A range of patterns for stylish clothing items by the talented German designer, Christine Mirecki. This exciting range includes dresses and dress trims, armlets, scarves and waistcoats. Each is complete with very clear pattern diagrams and a colour cover featuring the finished work. 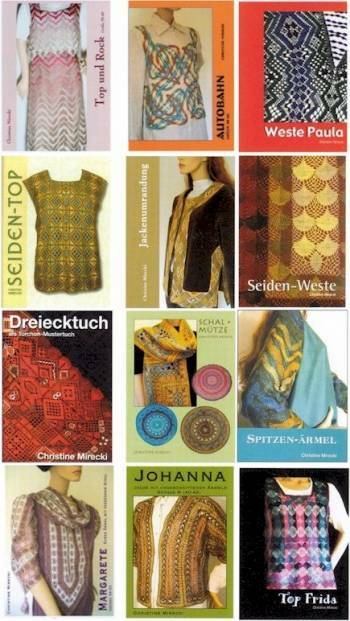 Where appropriate, the pattern can be purchased in small, medium or large size.